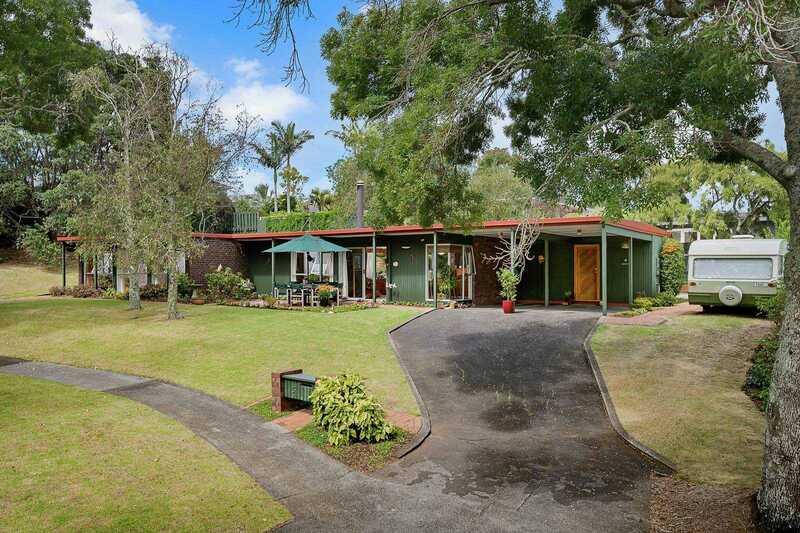 Tucked into its quiet, established cul-de-sac on what seems to be its own private park, this 1960's gem is unique. Its post-modern style, whilst understated, is captivating. Without doubt, the outstanding features of this delightful home are its exceptional setting and highly desirable address. Straddling its beautiful tree-lined 989m2 grounds, all on one level, the indoor-outdoor relationship is sublime. Have fun cycling and walking the network of great tracks off the Rotary Walkway & enjoy the choice of top schools nearby: St Kentigern College, Sunnyhills Primary, Farm Cove Int. Love it as is or add your own touches. However you see it, the future is bright for this gorgeous property: the address, position & potential are outstanding. Realistic vendors are underway with other plans. Long settlement possible. Could well be the best buy in Sunnyhills!